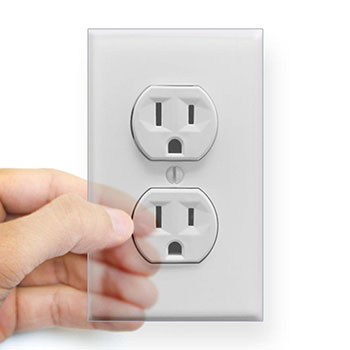 It’s a vinyl sticker that looks like an electrical outlet. Why. Why?! WHY.